I spent the day at the local city park shooting cyclocross. I don’t race cyclocross and never will. My license plate even indicates that I’m a road cyclist. Anyway, I don’t know what the cyclists were complaining about all day – that Belgian wall looks pretty flat to me. Easily rideable. 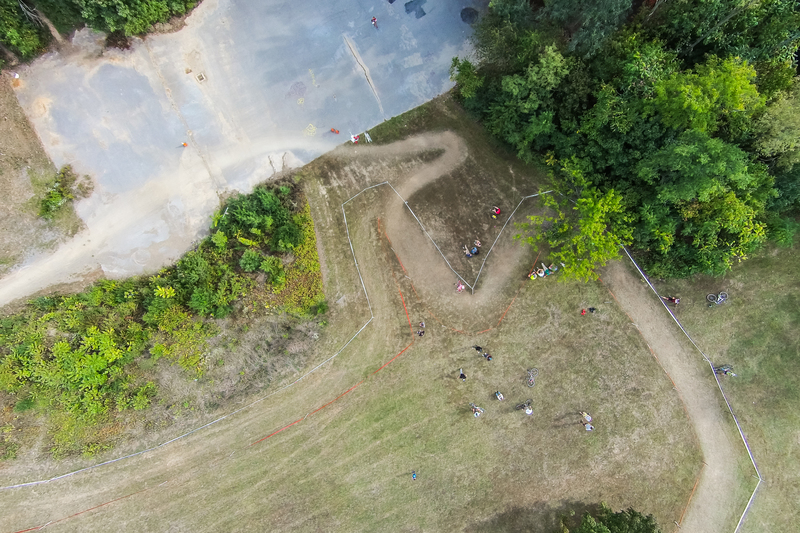 The Belgian Wall at the Applecross cyclocross race in Winchester is approximately a 45° angle, which is eliminated with this top-down, mapping view.